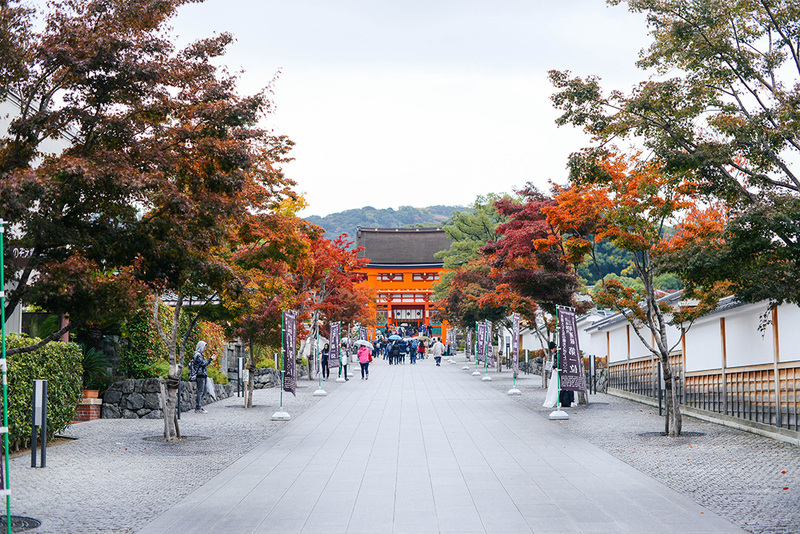 One Kyoto must is to visit Fushimi Inari. 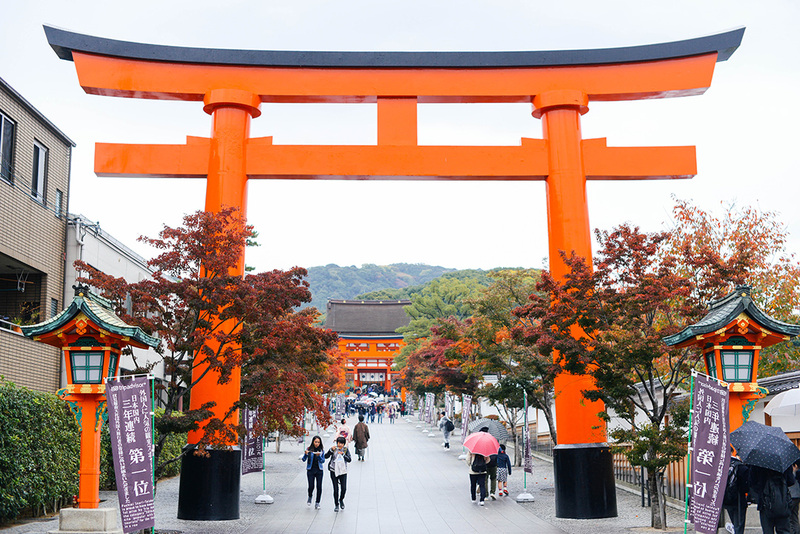 This bright orange shrine features a long corridor of torii gates leading right up to the base of a mountain (also called Inari). 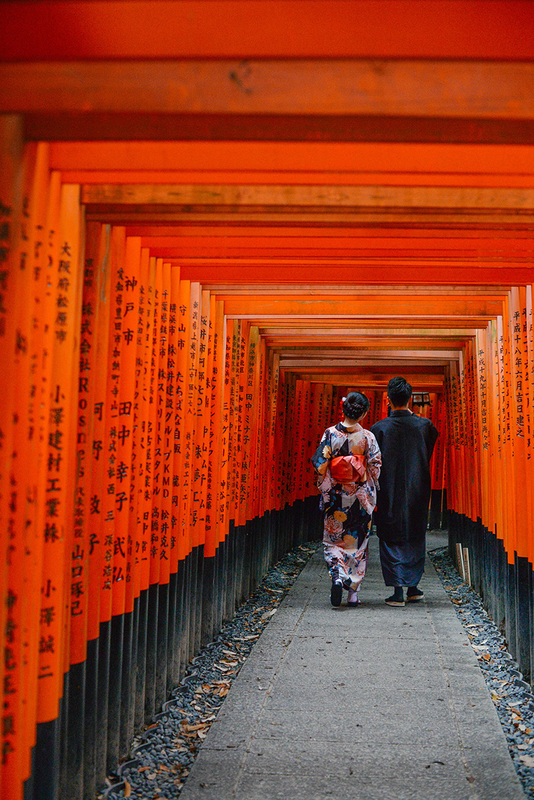 The hallway made of these brilliant vermilion gates is pretty famous, so I’d be surprised if you’d never seen a photo before! 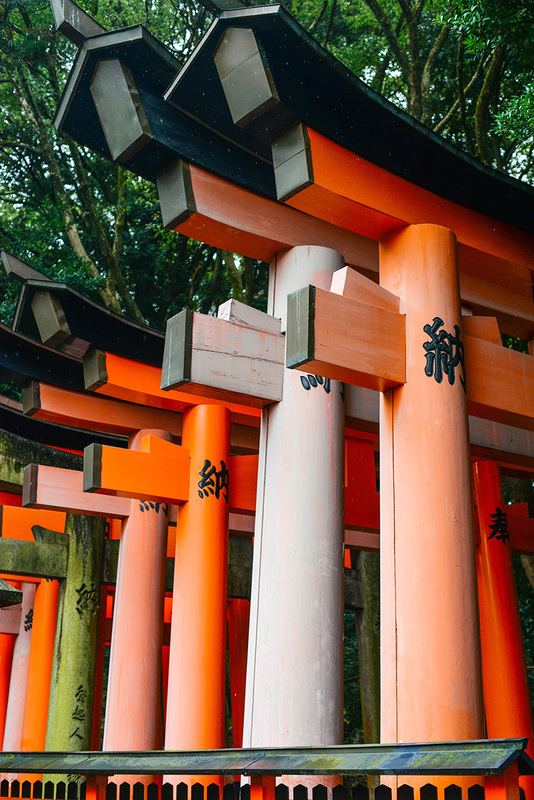 Once you’ve passed through the gates, you meet several trails that will take you up the mountain where you will discover a number smaller shrines. 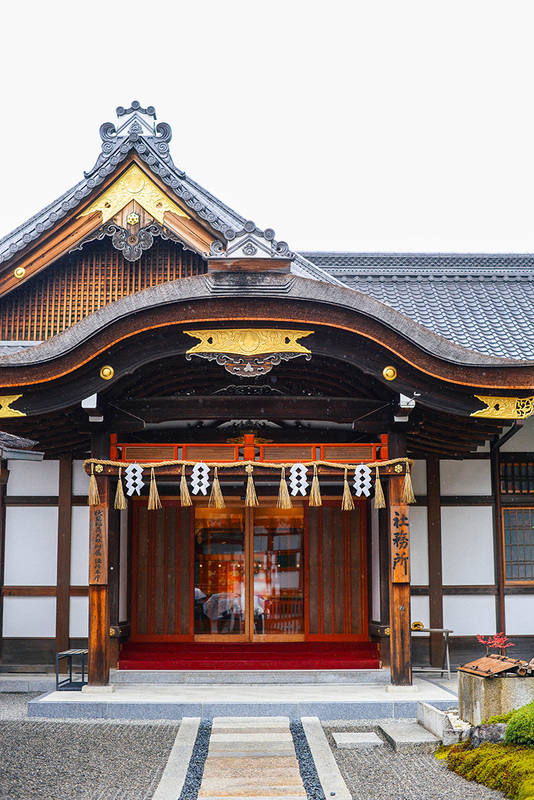 We unfortunately didn’t have time to do the full hike since we had our tea ceremony scheduled that afternoon. 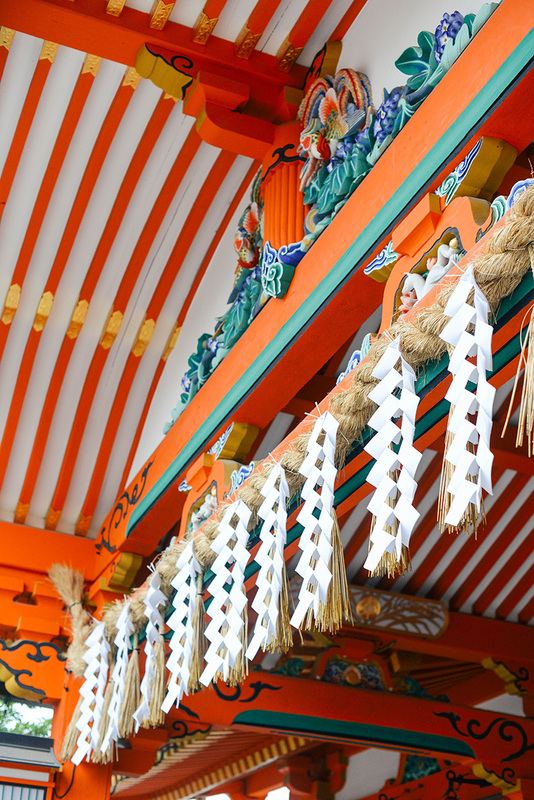 Just another reason to book a trip back to Japan! 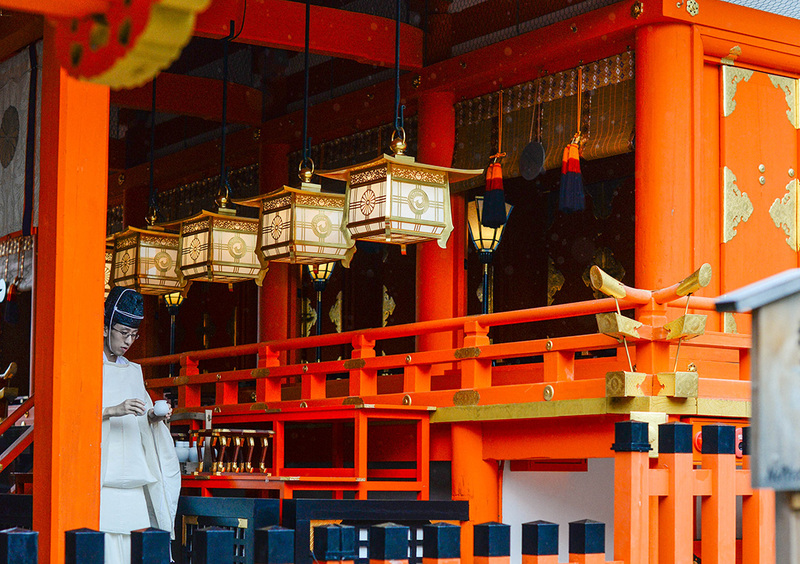 In order to get great pictures, I’d recommend going first thing in the morning before the masses of tourists arrive. There were SO many people, which made it very difficult to get any photos without strangers bopping in and out. It was worth the wait to get good photos, but it definitely would’ve been easier had we gone right when it opened! 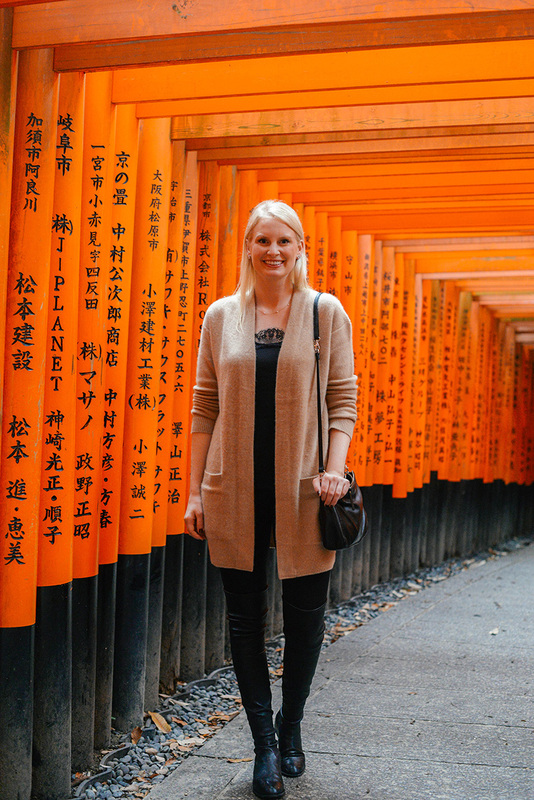 Click here to check out all of my travel photos from Japan, and stay tuned for my city guides for Tokyo and Japan! The orange is STUNNING! 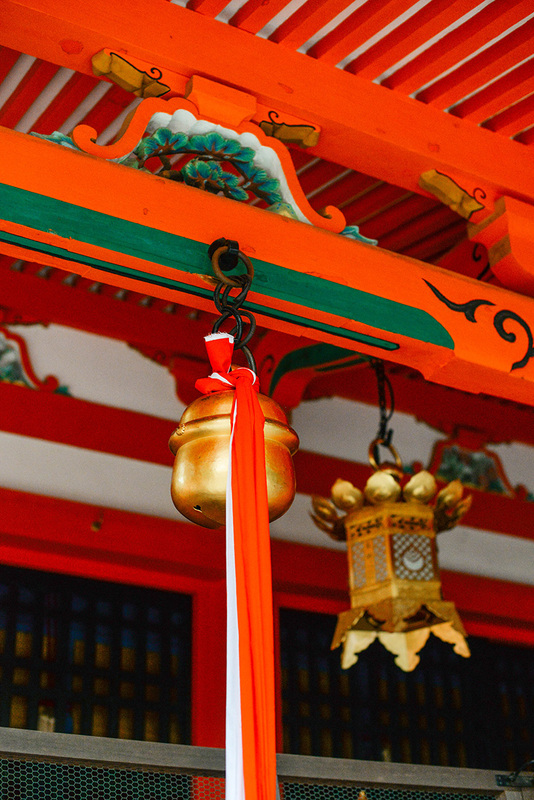 Especially in the mountain setting… I totally need to pack my bags and do some exploring at the Orange Shrine!